Sunday morning brunch is a favorite of ours around here. I usually feed the kids a bowl of cereal and fruit before we go to Mass. Then after Church we come home and make a big brunch. This Sunday was a particularly excellent day to bake something yummy and gooey in the oven. Our daily high temperatures are hoovering around 9, with wind-chills below zero. 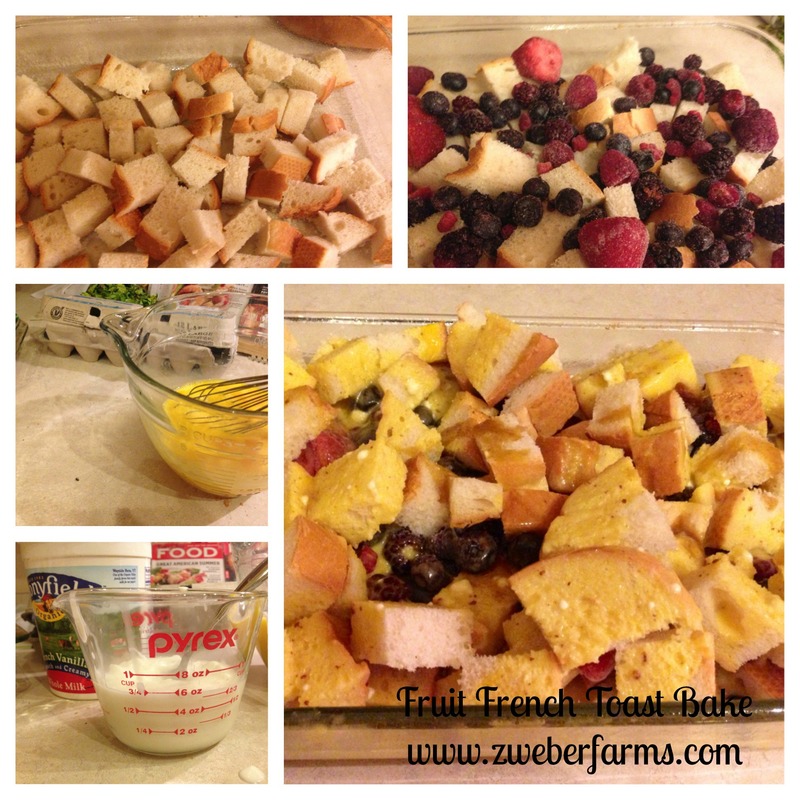 This week I made a Fruit French Toast Bake. This was the second time I have made this, but this time I think I got it right. 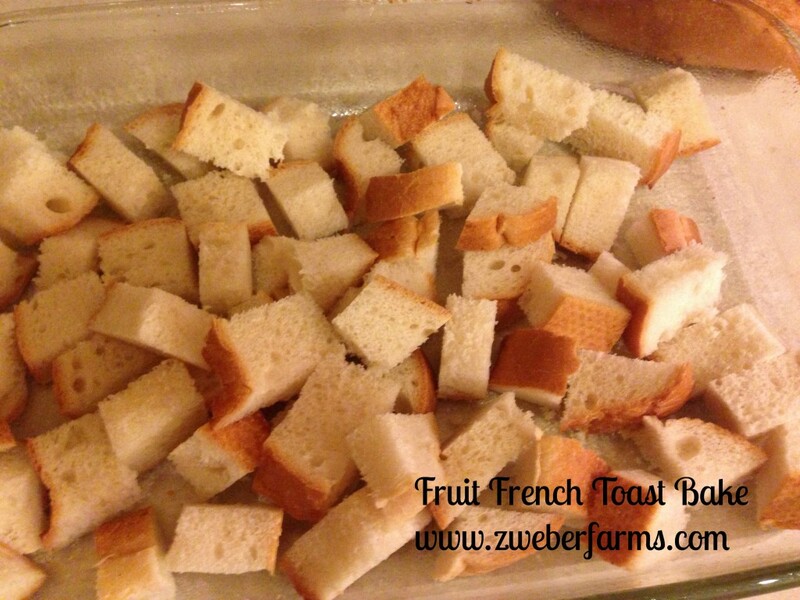 Baked french toast is really easy and it is a great way to use up an excess of eggs. Grease a 9×13 glass baking dish. Place half of the bread cubes in the dish. 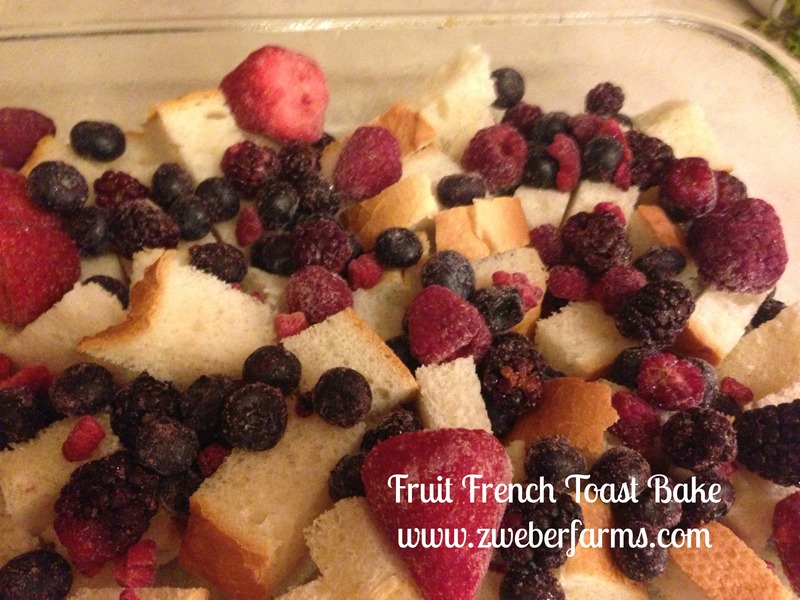 Top the bread with fruit. Top the fruit with the remaining bread. 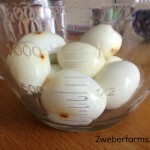 Whisk the eggs with the cinnamon and brown sugar. Measure the yogurt (I ran short, so I just substituted a tad more milk) and add it to the egg mixture. 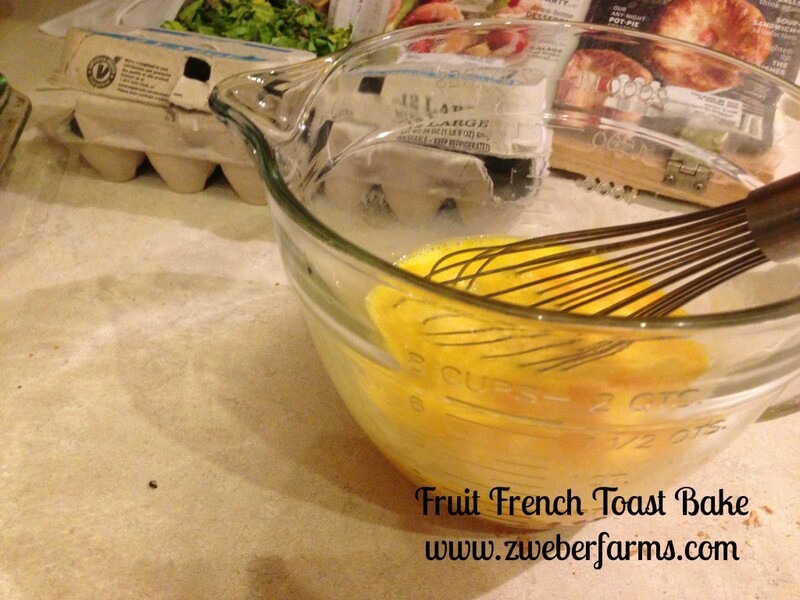 Pour the egg mixture over the bread. 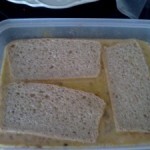 Make sure that all the bread is soaking in the liquid. Let the bake soak for at least one hour. 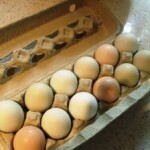 You can cover and let soak in the refrigerator overnight. Bake for 25-35 minutes in a 350 degree oven. Eggs will be set when it is done. 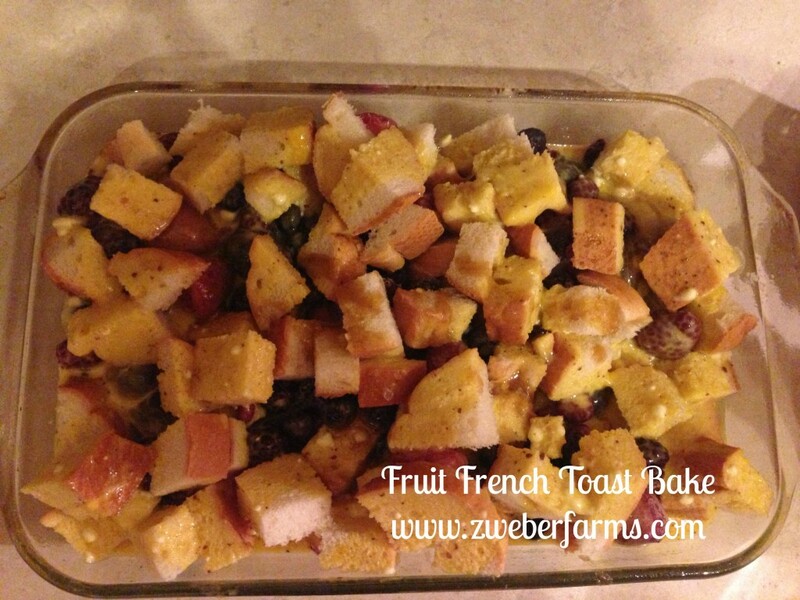 I served the fruit french toast bake with Zweber Farms pork sausage, organic orange slices and Organic Valley milk. 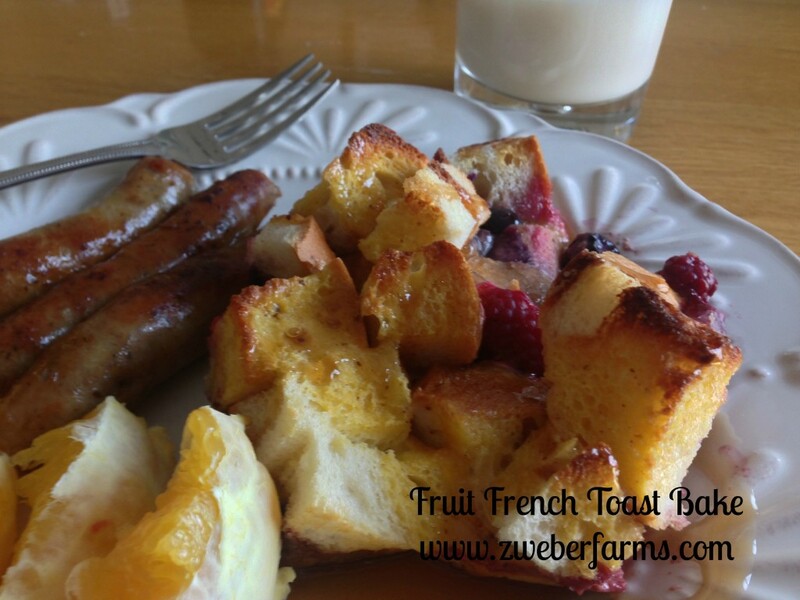 Easy fruit-filled french toast recipe that will warm your kitchen and your tummy! Grease a 9x13 glass baking dish. Place half of the bread cubes in the dish. Oooh this looks amazing! 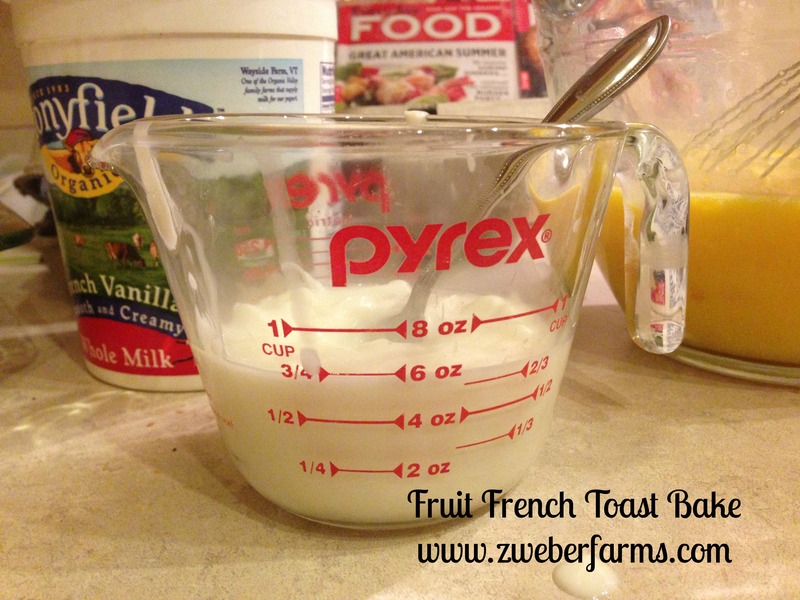 I’m so bummed that I don’t have any yogurt in the fridge, because I’d love to make this tomorrow morning! 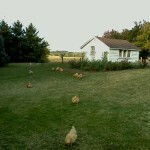 I’d really love it if you came and shared this at the Farm Girl Blog Fest #15 at Let This Mind Be in You! 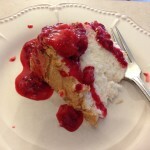 Ooooh, yummm……I would have to use blueberries and sprinkle powered sugar over the top at serving time. I certainly would be amiss if I didn’t drown it in “Grumpy’s Pure Maple Syrup” from my buddy in Chetek, WI.! !